What a great shot. 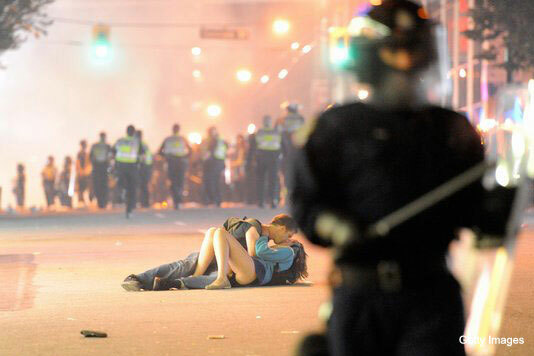 Although, to be fair, the couple captured in this scene was not trying to make a global statement on war and peace. The lady had fallen and her boyfriend was trying to console her at the moment the photographer captured the scene. Like I said...I'm a romantic. Plus, I love photography.